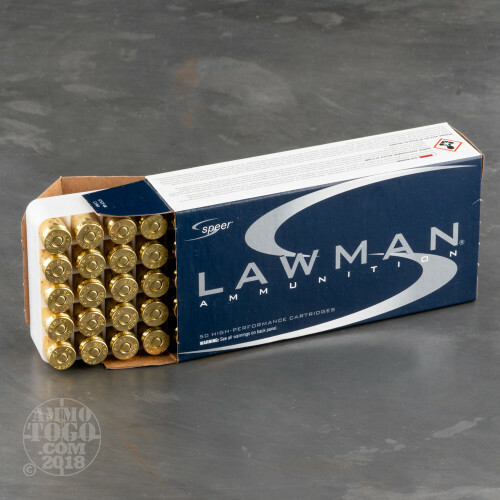 Specifically engineered to deliver the same feel and point-of-aim as many premium duty and defense loads, Speer Lawman is a safe and economical option for target shooting and tactical drills. 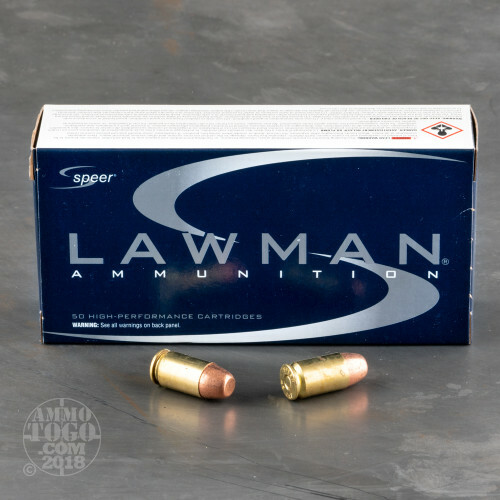 Speer is best known for producing ammunition that is reliable, accurate, and effective, all qualities that are necessary for law enforcement. For this reason more law enforcement personnel choose Speer ammo for their duty weapons than any other brand. 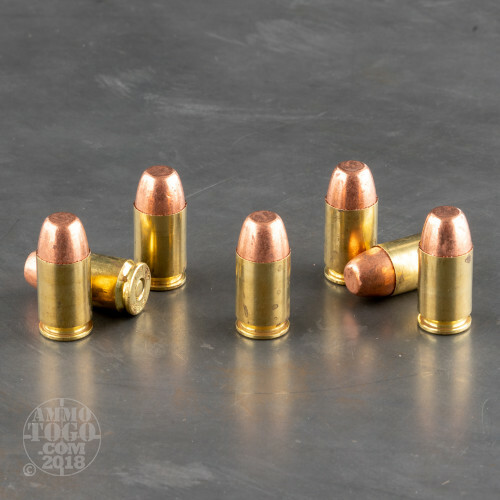 Perfect for indoor target ranges, each factory fresh cartridge is loaded with a 185 grain total metal jacket (TMJ) projectile. 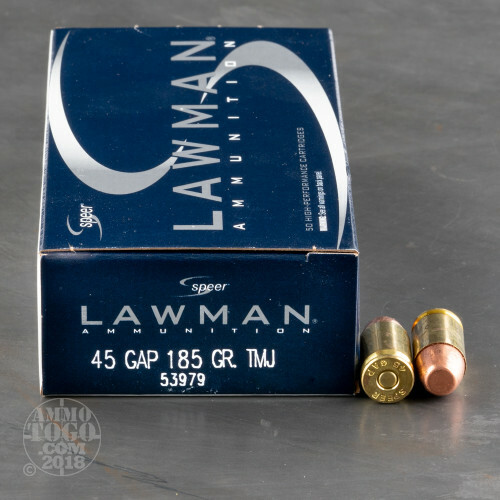 These bullets feature a quality copper jacket that completely surrounds a softer lead core. This design minimizes lead exposure at the firing point, resulting in cleaner firearms, cleaner shooters, and cleaner ranges.